As of October 2015, the WHO has reported over 11,300 deaths from the disastrous West African Ebola epidemic. Response teams first entered the region in March 2014, led by Médecins Sans Frontières (Doctors Without Borders; MSF). They very quickly had to get organised on the ground and understand the geography and transmission vectors the virus was using. 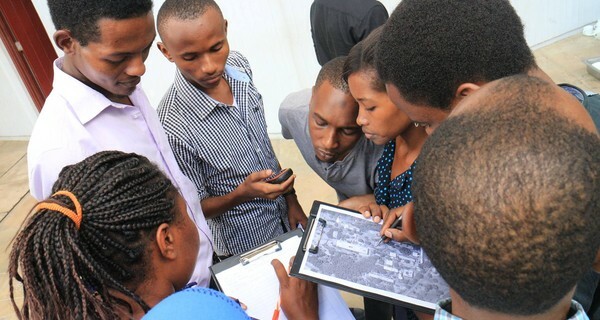 OpenStreetMap is an open source volunteer community that is seeking to map the world. An organisation has built up alongside the project called the ‘Humanitarian OpenStreetMap Team’ (HOT), which focuses efforts on mapping areas struck by crisis, helping disaster relief efforts by providing the raw location data that is so important. Guéckédou became the first site for an MSF isolation centre, in large part thanks to the effort of HOT’s West Africa Ebola Epidemic programme and call to action. The speed and quality of the response highlights the very special potential of social technology to directly effect change and lead real-world impact. HOT continues to work towards its vital mission, and is looking for people to get involved or donate. See the website for more.